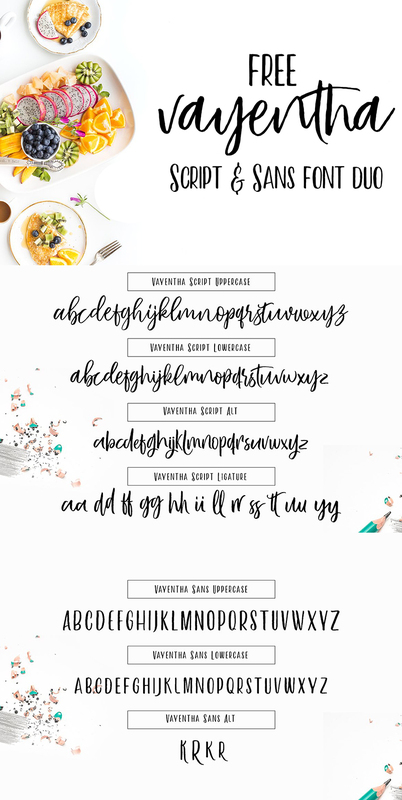 Free Vayentha Script and Sans Font Duo! Free font are always exciting! If you don’t already own the gorgeous Free Vayentha Script and San Font Duo – today is a fantastic day to add it to you growing font library! It was created by Ryan from LOSTVOLTYPE – a talented designer from Indonesia. You can find more of his awesome work below! I can see myself using this font a whole lot! It’s a perfect combo! Thank you, Ryan, for this incredibly generous freebie!! This font in for personal use..